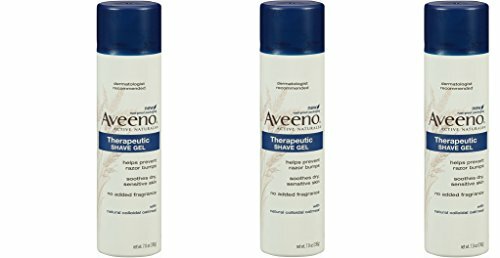 Aveeno Skin Relief Shave Gel provides a close, smooth shave and helps protect delicate or sensitive areas from irritation. That means you're less likely to get razor bumps, nicks, and burns. Containing Active Naturals Colloidal Oatmeal and allantoin that helps soothe your skin, this shave gel helps your skin look and feel better day after day. A special blend of moisturizing lubricants rehydrates skin and reduces dryness. This dermatologist-recommended shaving gel is fragrance-free and non-comedogenic, so it is suitable for sensitive skin. Aveeno Skin Relief Shave Gel comes in a 198-gram bottle.